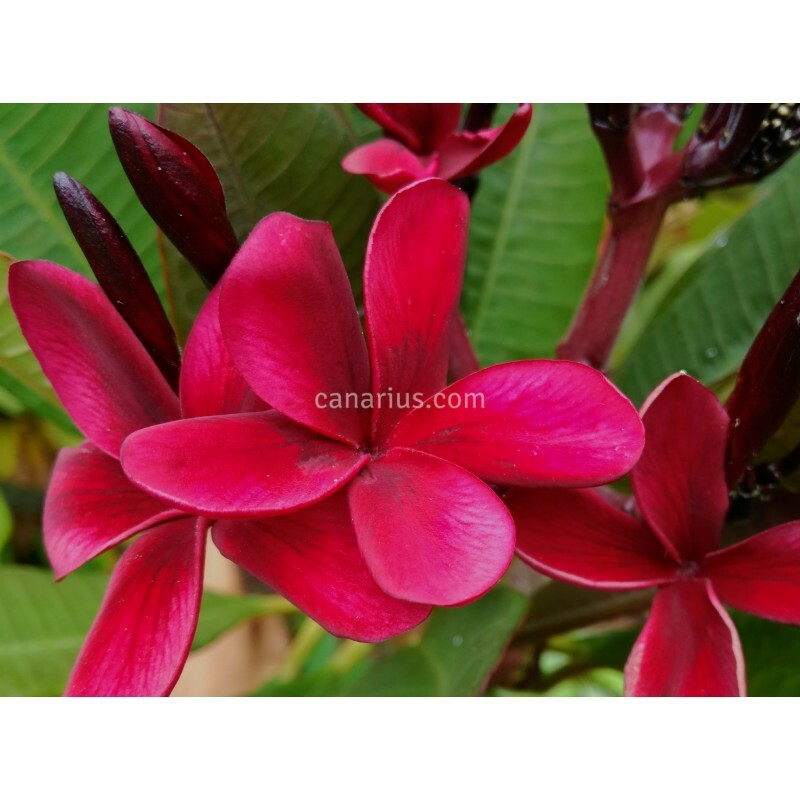 Scott Pratt is a dark red flowered Plumeria from Hawaii. For years it was called the "Black Plumeria", as its flowers are so dark-red-purple that they often look almost black. It has rather thin upright stems. Leaf midribs are tipically dark too. By buying this product you can collect up to 15 loyalty points. We ship a well rooted plant, 20-40 cm tall, sometimes branched, sometimes not. usually an adult tip-cutting that can bloom in one year or less. Plumerias are leafless in winter and spring and they can be shipped with pots or bare rooted in sphagnum.